An envelope is a thin flat packaging item, designed to contain flat objects such as a letter, card or leaflet. 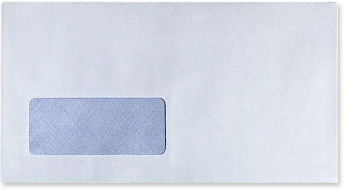 A window envelope has a hole in the front that is covered with a transparent film. Through this window an address printed on the paper within can be seen.